Most of the music repertoire used to create the Teatro Aperitivo shows, is taken from the Great Cafè Concert Archive inherited from the violinist Virgilio Marzorati. 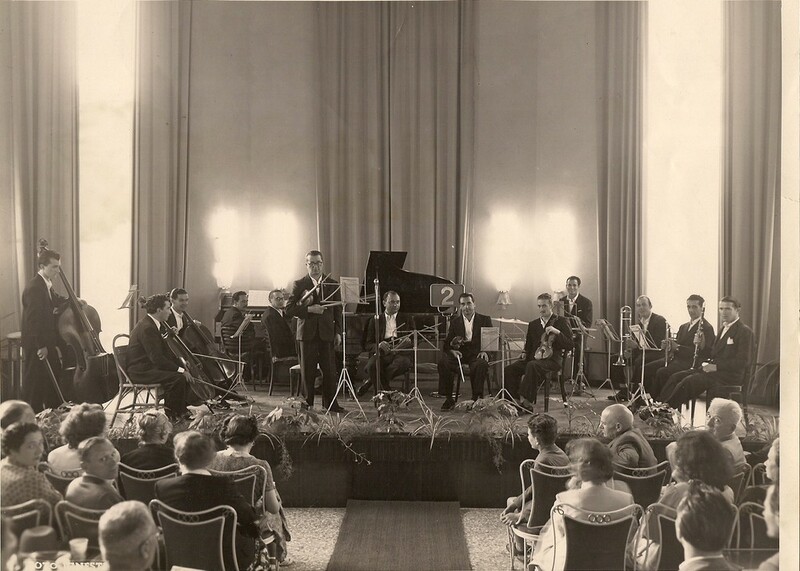 An important chapter of the life and carreer of the violinist Virgilio Marzorati has been the creation of a musical group that starting from 1932 was playing for almost 40 years, during the summer season at the Concert Hall of the Termal Baths in Recoaro. Among the musicians that collaborated during the years: Alfredo Bignazzi (violinist), Carlo Cassone (cellist), Arturo Chierici (bassist), Gaetano Freni (cellist), Alberto Semprini (pianist), Sauro Sili (pianist), Luigi Spaggiari (pianist), Bruno Vitali (cellist) e i figli Sergio Marzorati (pianist) e Franco Marzorati (bassist).